Here, at SOF Olympiad Trainer, we strive to provide you content of high quality and relevance. We have ensured that all the topics and sub-topics are covered in detail in accordance with the course. A wide variety of questions of varied difficulty have been given in order to ensure proper practice for students. The syllabus for International English Olympiad is divided into four sections for each class starting from class 1st to class 10th with the exception of class 1st in which there are only two sections. This has been done in order to ensure that it is represented in an easy-to-find way. The sub-topics are given strictly according to the class in which the student is and the Mock Tests and Sample Papers are also provided. Section 1 is the basic section and the topics are different for students of different classes. Some examples of the topics found in it are Synonyms, Spellings, Collocations etc. Section 2 is the section which has questions of searching and retrieving information type. The topics differ as usual. Section 3 contains questions which test the students ability to understand situation-based functions of various topics. Section 4 is the final section which consists of some Higher Order Thinking questions. The topics covered in this section are same as those of the previous three sections. Jumbled Letters, Words : Their Meanings and Opposites, Identify the Word From the Picture, Making a Word, Feminine and Masculine, One and Many, Word Pairs, Odd One Out, Animals : Their Babies, Sounds and Groups, Nouns, Verbs, Articles, Comprehension (Prose and Poetry). Achievers Section: Higher Order Thinking Questions - from the above given Syllabus. Section - 1 : Collocations, Spellings, Words related to animals and their sounds, Clothes, Body parts, Basic emotions, Food etc. Nouns, Pronouns, Verbs, Adverbs, Adjectives, Articles, Prepositions, Conjunctions, Contractions, Word order, Punctuation, Simple tenses. Section - 2 : Search for and retrieve information from various text types like stories, short dialogues, etc. Acquire broad understanding of and look for specific information in short texts like messages, invitations, etc. Section - 3 : Ability to understand situation-based variations in functions like thanking, greeting, asking for permission, introducing (oneself), etc. Section - 4 : Higher Order Thinking Questions - Syllabus as per Sections 1, 2 and 3. Section - 1 : Word Power : Homophones, Collocations, Spellings, Words related to animals, Household things, Clothes, Basic emotions, Food, Animals and Pets, etc. Synonyms and Antonyms, Gender, Number; Proverbs, One Word, Nouns, Pronouns, Verbs, Adverbs, Adjectives, Articles, Prepositions, Simple Tenses, Conjunctions and Punctuation, Basic Questions etc. Section - 2 : Search for and retrieve information from various text types like stories, Anecdotes, etc. Understand information through pictures, Time-table format, etc., Acquire broad understanding of and look for specific information in short texts like messages, Invitations, etc. Section - 3 : Ability to understand situation-based variations in functions like apology, greeting, introduction, request, etc. Section - 1 : Collocations, Spellings, Words related to animals, Household things, Clothes, Basic emotions, Food and Animals, etc. Synonyms, Antonyms, Nouns, Pronouns, Verbs, Adverbs, Adjectives, Contractions, Articles, Prepositions, Conjunctions, Tenses, Punctuations and Jumbled words, Basic Questions etc. Section - 2 : Search for and retrieve information from various text types like stories, Anecdotes, etc., Understand information through pictures, Time table format, etc., Acquire broad understanding of and look for specific information in short texts like messages, Invitations, etc. Section - 1 : Spellings, Collocations, Idioms, Homonyms and homophones, Words related to feelings, Travel, Food, Health, Appearance, Character, etc. Nouns, Pronouns, Verbs and Phrasal Verbs, Adverbs, Adjectives, Articles, Prepositions, Punctuation, Tenses, Passive Voice and Reported Speech etc. Section - 2 : Search for and retrieve information from various text types like news headlines, Messages, Letters, etc., Understand information given in News reports, Time tables, Messages, etc., Acquire broad understanding of and look for specific information in short texts like messages, menu card dialogues, etc. Section - 3 : Ability to understand situation-based variations in functions like requests, Refusals, Apologies, etc. and the use of conjunctions. Section - 4 :Higher Order Thinking Questions - Syllabus as per Sections 1, 2 and 3. Section - 1 : Nouns, Pronouns, Verbs, Adverbs, Adjectives, Articles, Prepositions, Punctuation and Jumbled Words, Tenses, Voices, Narration etc. Spellings, Collocations, Phrasal verbs, Idioms, Words related to everyday problems, Relationships, Health and Medicine, Travel, etc. Section - 2 : Search for and retrieve information from various text types like News headlines, Brochures, Formal and Informal letters, Itenary, etc., Acquire broad understanding of and look for specific information in Short narratives, Time tables, News stories, Diary entry, Poster Making, Messages etc. Section - 3 : Ability to understand situation-based variations in functions like agreement and disagreement, Requests, Refusals, Apologies, etc. and also distinguish differences in the use of conjunctions. Section - 1 : Spellings, Collocations and Words related to Travel, Locations, Activities, Homonyms and Homophones, etc. Synonyms, Antonyms, Analogies and Spellings, One word, Phrasal Verbs and Idioms, Modals, Word order, Nouns, Pronouns, Verbs, Adverbs, Adjectives, Articles, Prepositions, Conjunctions, Punctuation, Tenses, Voices and Narration, etc. Section - 2 : Search for and retrieve information from various text types like News stories, Brochures, Formal and informal letters and advertisements. Understand information given in news reports, Brochures, Itinerary, etc., Acquire broad understanding of and look for specific information in short narratives, Biographies, Notices and Messages etc. Section - 3 : Ability to understand situation-based variations in functions like requesting and refusing, Apologies and stating of preferences and expression of intent, etc. Section - 4: Higher Order Thinking Questions - Syllabus as per Sections 1, 2 and 3. Section - 1 : Synonyms, Antonyms, Analogies and Spellings, Collocations, Phrasal Verbs, Idioms or Proverbs, Homonyms and Homophones, One word, Nouns, Pronouns, Verbs, Adverbs, Adjectives, Articles, Prepositions, Prepositional Phrases, Participle Phrases, Conjunctions, Determiners, Jumbled Words and Punctuations, Tenses, Voices and Narrations-Question Tags, etc. Words related to leisure, Household items/issues, Social causes, Outdoor locations and activities, etc. Section - 2 : Search for and retrieve information from various text types like News reports, Blurb, Dictionaries, etc., Understand information presented in instruction manual format, Message format and others. Acquire broad understanding of and look for specific information in longer texts like editorials,Essays, etc. Section - 3 : Ability to understand situation-based variations in functions like requesting, Giving information, Expressing surprise, Pronunciation etc. Section - 1 : Synonyms, Antonyms, Analogies and Spellings, One word, Word order, Nouns, Pronouns, Verbs, Adverbs, Adjectives, Articles, Prepositions, Conjunctions, Punctuations, Jumbled words, Voices, Concord, Question forms, Tenses, Conditionals, Modals, Reported speech. Collocations, Phrasal verbs, Idioms, Homonyms and homophones, Words related to social cause, Travel, Workplace, etc. Section - 2 : Search for and retrieve information from various text types like flyers, Classifieds, Dictionaries, etc., Understand information presented in instruction manual format, Message format and others. Acquire broad understanding of and look for specific information in longer texts like editorials, Essays, etc. Section - 3 : Ability to understand situation-based variations in functions like Giving advice, Stating preferences, Discussing probability, Making an offer, etc. 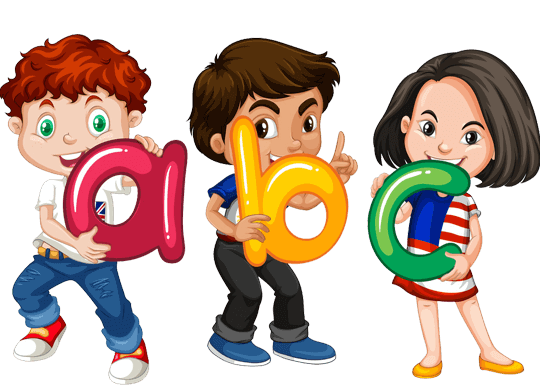 Section - 1 : Synonyms, Antonyms, Analogies and Spellings, One Word, Word order, Nouns, Verbs, Adverbs, Adjectives, Articles, Prepositions, Conjunctions, Punctuations, Voices, Narration. Concord, Question forms, Tenses, Conditionals, Modals, Collocations, Phrasal verbs, Idioms, Homonyms and homophones, Words related to weather, Countries, Language and people, Global problems, etc. Section - 2 :Search for and retrieve information from various text types like Encyclopedias, Dictionaries, etc., Understand information presented in instruction manual format, Message format and others , Acquire broad understanding of and look for specific information in longer texts like editorials, Essays, etc., Make inferences from advanced texts. Section - 3 : Ability to understand situation-based variations in functions like Giving/accepting compliments, Agreeing, Disagreeing, Requesting, Seeking information, Pronunciation etc.